Zenith Nutrition Mass Gainer++ has a unique 3: 1 carb and protein ratio and enzyme formula, a perfect combination for those looking to increase body mass with regular training. It also comes with a unique blend of whey protein isolate, whey protein concentrate and micellar casein. Whey protein isolate and whey protein concentrate being fast digesting proteins give immediate dose protein for the body. Being a slow release protein, micellar casein makes protein available for a prolonged period. This supplement comes in a lip smacking double chocolate flavour, making it a chocolate lover's favourite. Zenith Mass Gainer++ has the right proportions of nutrients that can be consumed any time of the day starting from breakfast as the body demands good nutrition to begin the day along with energy. It can also be consumed in between meals to provide essential nutritional needs during day. Consuming it couple of hours before sleep may help to nourish the body with essential nutrients. About the brand: Zenith Nutrition, a division of Medizen Labs, is a leading manufacturer of wellness products in India. The brand has a complete line of herbal and dietary supplements that keep you fit and healthy. Zenith Nutrition's products strike a balance between traditional medicine and modern science and are unique in their use of synergistic ingredient formulations. They deliver outstanding potency and are quite effective in results . Explore the entire range of Bulk available on Nykaa. 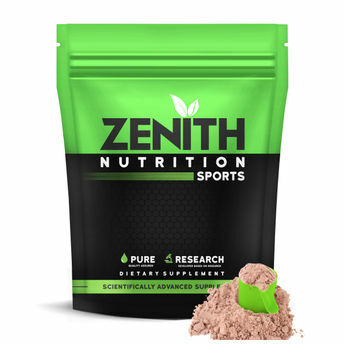 Shop more Zenith Nutrition products here.You can browse through the complete world of Zenith Nutrition Bulk .Alternatively, you can also find many more products from the Zenith Nutrition Mass Gainer++ With Enzyme Blend Double Rich Chocolate range.